Screen Readers, a commonly used name for Voice Output Technology, are used when it is difficult or not possible to read the standard text displayed on screen. For example, individuals who are visually impaired or blind may use a screen reader. Screen readers can also benefit those who prefer to have text read back or find it easier to focus when text is read to them. Screen readers produce synthesized speech output for text displayed on the computer screen, as well as for keystrokes entered on the keyboard, and navigational information (e.g., which program has just been opened, how many links on the current page). Screen readers require the use of keyboard shortcuts, most of which the user has to memorize. Many screen readers work with multiple programs, but some screen readers are specific to certain programs (e.g., an internet browser-specific screen reader, sometimes called a talking browser). However, the accessibility of a webpage or document impacts the information that can be read or navigated to. 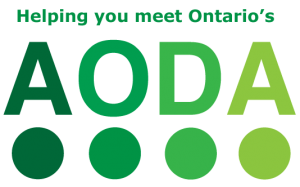 For tips on how to make documents more accessible, visit the Accessible Digital Office Document (ADOD) Project webpage. For individuals who identify as deaf, blind, or deaf blind, screen readers convert text into Braille characters on refreshable Braille devices. Does the software allow for customization to a particular application, i.e., scripting? Does the user have basic computer skills? Consider a menu-based screen reader or tablet with screen reader for individuals with little or no computer experience. Is it compatible with your computer’s operating system? Does it need to work with other technology (e.g., magnification software for users with low vision, voice recognition for those with difficulty using a keyboard) and are there compatible options or bridge programs (i.e. programs that make the two work together)? Can it output to a refreshable Braille display? Can it convert text to audio files, such as .wav or .mp3 formats for later listening? Learn more about the accessibility features of your computer here. Screen readers and talking browsers translate the information on a computer screen into an audio voice, providing an alternative format. While screen readers can usually translate information from all areas of a computer, talking browsers only translates information from the Internet. Considering the guidelines for accessible website and web content improves the accessibility and usability for screen reader users. People interact, learn and communicate in diverse ways. Learning opportunities are increased when flexible ways of engaging with learning materials are provided. Considering how people communicate is important for knowledge to be exchanged. Alternative formats take into account diverse ways of exchanging information. The AODA legislates that educational institutions and its employees know how to produce accessible or conversion ready versions of textbooks and printed material. All website and web content must meet accessibility standards and support alternative ways to convey information. Educators, teachers and staff must be knowledgeable at communicating with people with disabilities who may use alternate formats. 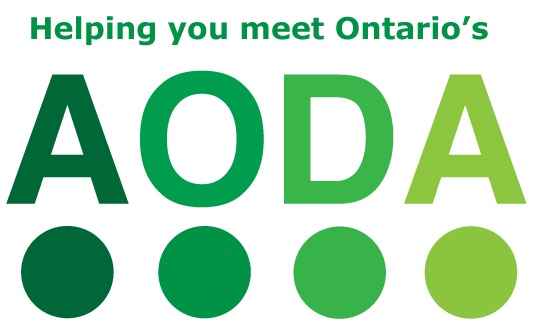 To learn how this section relates to the core principles of the AODA Customer Service regulation, visit the AODA page on SNOW. To learn of ways to innovate, develop, and design for accessibility, visit OCAD University’s Inclusive Design Research Centre (IDRC) website and the IDRC’s floe project website.